A report earlier this week that vape giant Juul was in talks with Altria for a minority stake in its company apparently hasn’t jibed well internally. According to screenshots reportedly obtained by Axios of internal conversations between Juul employees over Slack, some employees initially raised questions over the legitimacy of the reports. Others reportedly claimed that such a deal would be a “deal with the devil” and would stand in opposition to Juul’s ostensible ethos of helping people wean themselves off of traditional cigarettes. And they’re right. That big tobacco is going after Juul’s highly successful and lucrative vape market makes sense. Altria’s reported bid for a significant minority stake could help offset its ever-dwindling market for adult cigarette smokers as more and more people move away from it. According to Axios, Altria has been courting Juul since around the beginning of the year. Internal turmoil at Juul over the possible tie-in arrives at an interesting time in which employees are holding their corporate employers accountable for questionable ethics. An employee strike or all-out mass resignation may be imminent at Google, where hundreds of employees are currently calling for the end to its controversial plan for a censored search product for China. (The company also just overhauled its forced arbitration policies after a separate, high-profile walkout.) Amazon employees continue to protest what they characterize as dangerous and grueling work conditions. And Microsoft employees have continually raised concerns about its decision to offer its technology to the military. 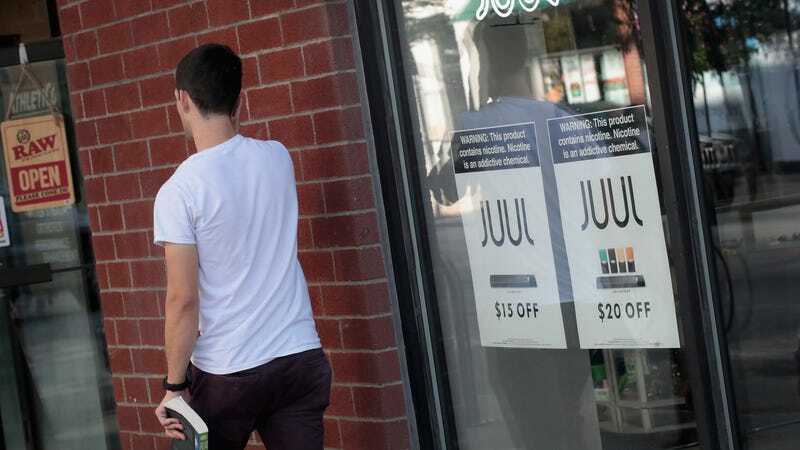 No reports of planned walkouts or employee open letters have yet surfaced following news of a possible partnership between Juul and Altria. But if their Slack messages are any indication, Juul employees already seem to think the rumored deal reeks of hypocrisy. A spokesperson for Juul did not immediately return Gizmodo’s request for comment.